When Should I Start Home Dog Training? 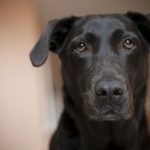 Home » When Should I Start Home Dog Training? Often our customers, right at the end of that first lesson, tell us “I should have done this a long time ago”. Most of the time, our clients are very patient and tolerant having put up with all types of unwanted canine behaviour. We had many clients admitting to us that on their way home from work, they were dreading their dog and wishing that they didn’t have one. What we hope, is that you never reach this point before you decide to call for help. To that end, we would like to help you in these next few paragraphs by sharing our clients’ reasons why they hesitated to go ahead with the training and hopefully help you decide that your dog deserves to become a good canine citizen. trained was 6 ½ weeks old. Her owners were unable to sleep because of separation anxiety. We saw this Doberman grow up to become a great family member. nothing could be done with an old dog. We say that if you don’t want your dog to do something when he is older it should be nipped in the bud when he is a puppy. Early barking may seem cute but if you don’t correct it when he’s young it can turn into a real nuisance. If your puppy runs your life, you need help. When a dog growls, he is warning you. If it happens often, it really needs to be handled as quickly as possible. We have to be aware of why the dog is growling. Most canine aggression comes from fear. When we are afraid, we try to avoid the situation by removing ourselves from it. Unlike humans, a dog will actually attack the source of its fear if it can. He might just lunge towards what he fears, hoping it will go away. If cornered, a fearful dog will attack. Remember dogs have what we call the “fight or flight” reaction. If unable to escape a situation they will attack. What we call leash aggression comes from the inability of the dog to flee while he is on leash. Living with a dog should be a wonderful experience. We’ve noticed with our many home dog training visits that children who grow up with dogs become better people. We also notice that people who have dogs are better people. This is why we love what we do and we love bringing harmony to the lives of people and their dogs. If you have thought about it a few times, the answer is now. Please do not hesitate to call. We are here for you and we are more than happy to help. How can I calm my dog before a walk? Should You Put Your Hand in Front of a Dog You Don’t Know? 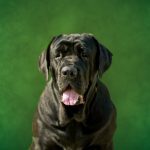 Furry Logic offers a unique method of in-home dog training and behavioural therapy from experienced professionals for Calgary, Okotoks, High River, Cochrane and Airdrie. Specializing in dog training within the comfort of your own home. We teach you how to train your dog. You set the training schedule to your convenience. Your entire family participates in the first lesson.